Assessment of fractured rock aquifers in many parts of the world is complicated given their strong heterogeneity. Delineation of the subsurface geological formation in the weathered terrain is essential for groundwater exploration. To achieve this goal, 2D electrical resistivity tomography (ERT) and self-potential (SP) in combination with joint profile method (JPM) and boreholes have been carried out to delineate the subsurface geological units, detect the fracture/fault zones in hard rock, monitor the groundwater flow, and estimate the groundwater reserves contained within the weathered terrain at a complex heterogeneous site of Huangbu, South Guangdong of China. The integration of resistivity images with the borehole lithology along three profiles delineates three subsurface distinct layers namely topsoil cover, weathered and unweathered layers. The incorporation of ERT and SP with JPM reveal five fractures/faults, i.e., F1, F2, F3, F4 and F5. 2D ERT models interpret the less resistive anomalies as the fractures/faults zones, and high resistive anomalies as the fresh bedrock. The inversion program based on the smoothness-constraint is used on the resistivity field data to get more realistic three layered model. SP measurements are obtained along the same electrical profiles which provide the negative anomalies clearly indicating the groundwater preferential flow pathways along the fracture/fault zones. Hydraulic parameters namely hydraulic conductivity and transmissivity were determined to estimate the groundwater resources contained within the fractures/faults. The integrated results suggest that the fractures/faults zones are most appropriate places of drilling for groundwater exploration in the investigated area. Geophysical methods coupled with the upfront borehole data provides better understanding about the conceptual model of the subsurface geological formations. The current investigation demonstrates the importance of the integrated geophysical methods as a complementary approach for groundwater assessment in the hard rock weathered areas. This research was sponsored by CAS-TWAS President’s Fellowship for International PhD Students; and financially supported by the National Natural Science Foundation of China (NSFC; Grant No. 41772320), and the Strategic Priority Research Program of the University of Chinese Academy of Sciences (Grant No.XDB 10030100). 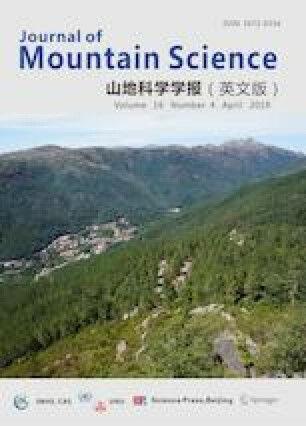 Authors wish to acknowledge support received from CAS-TWAS President’s Fellowship, and Key Laboratory of Shale Gas and Geoengineering, Institute of Geology and Geophysics, Chinese Academy of Sciences, Beijing China.